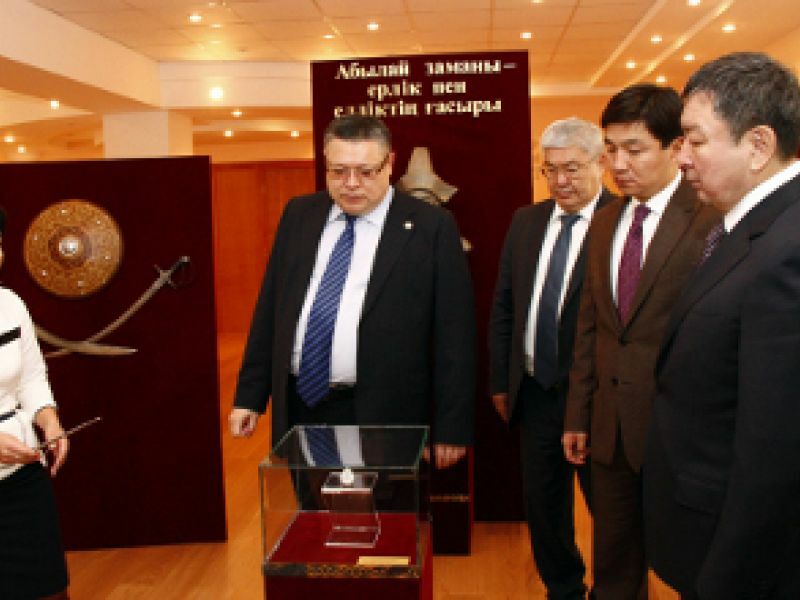 The International Conference named “Abylai Khan and his historical epoch” was just held in Kokshetau. The International Conference named “Abylai Khan and his historical epoch” was just held in Kokshetau. It was devoted to the study and scientific understanding of the Abylai Khan’s historical role in Kazakhstan’s history. At the opening of the conference the Secretary of State Marat Tazhin cited the greeting from the head of state Nursultan Nazarbayev to the participants of the meeting. - We should not be limited to just discovering some of the special works of Abylai Khan. We need to think about what was our ancestors dream? What goals did he achieve? What were his expectations of his descendants of the future? It should be important to find the answers to these questions first of all to understand the whole story of Abylai Khan. The unique and vivid personality of Abylai, and the talent of an outstanding political figure and commander were formed during one of the most critical and dramatic periods in the history of the Kazakh people during the time for the fight for freedom and independence. Abylai was not only a hero, but also outstanding in diplomatic relations. It can be proved by the numerous archival materials from Chinese sources, including the letters written by the Khan to the neighboring countries. These documents have been brought to Kazakhstan as part of the “People in the flow of history” state programme. - Kazakh historians have visited China this year and brought unique documents, including a letter written by Abylai Khan to the Chinese ruler. We need to preserve our national identity and dignity. Kokshetau holds sports marathons, exhibitions and concerts as part of the 300th birthday anniversary celebrations. The local racecourse is going to hold a theatrical performance and a national sports competition that starts on October 6.